Midtown Social will be bringing the swing to this thing!! 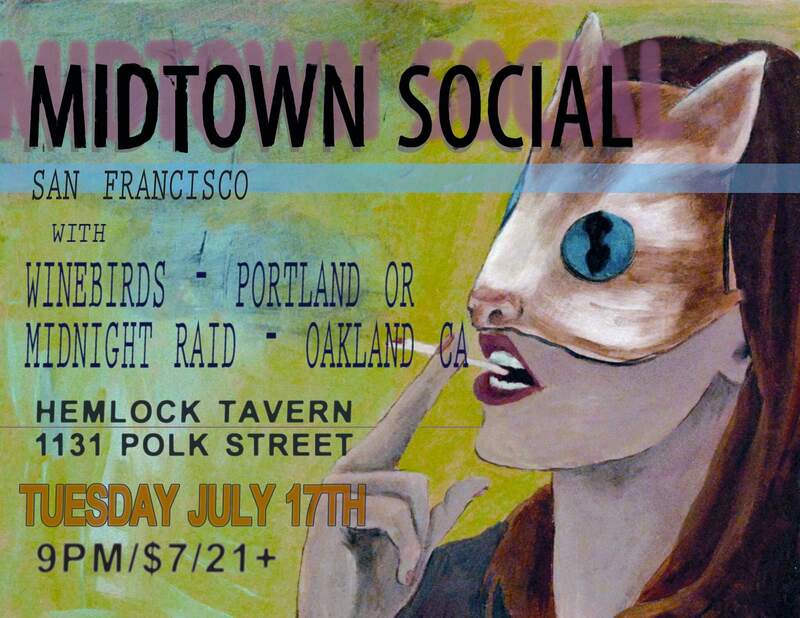 Joining us for this event will be the Winebirds from Portland , Oregon and our bay area homies Midnight Raid! Show at 9pm, $7 at the door. Happy Thanksgiving from Midtown Social!